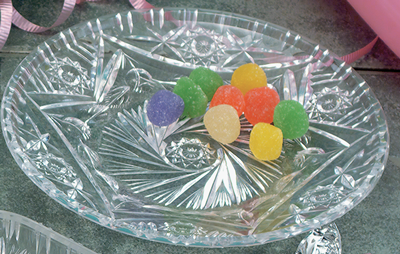 Plastic round 7” simulated cut crystal dessert or salad plate. This item makes for an elegant presentation when you need a heavy weight plastic plate that has a classic cut crystal design. Perfect for every day use too! (L)7-1/8" x (H) 7/8 "